Category: Fiction. Tags: anthology, art, mysteries, short stories, Sisters in Crime. From Picasso to the Herron School of Art, The Fine Art of Murder presents an anthology of twenty page-turning mysterious short stories. Murder and crime is integrated into each story with spine-tingling twists and turns over objects or places where one will find fine art. In The Fine Art of Murder you will travel through time eras, enjoy different art genres, and come to know new and original characters. Each of these mystery stories run the gamut of the art world and take you into a new adventure. 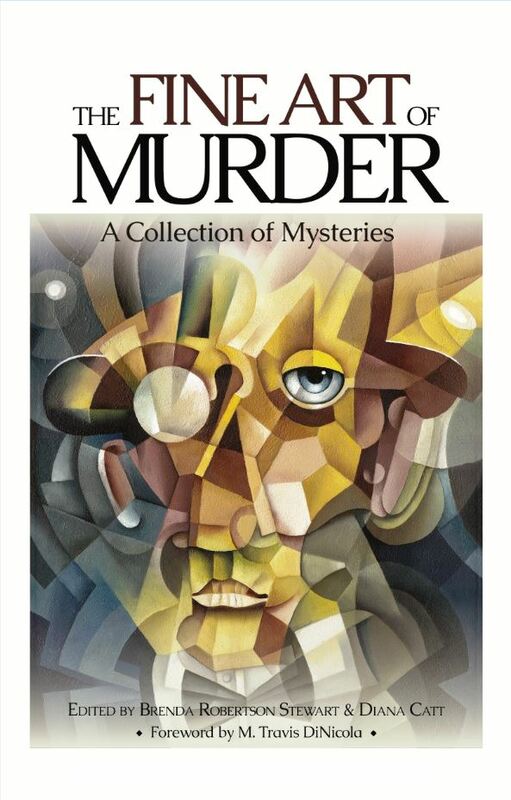 What makes The Fine Art of Murder different from other anthologies is that each short story is separated by fact sheets that highlight some of Indiana’s most renowned artist. You will discover pop art, and learn the history of Robert Indiana’s famous LOVE sign, the Impressionist landscapes of William Forsyth, and his student, Julia Graydon Sharpes watercolor paintings. Nineteen members of the Speed City Indiana Chapter of Sisters in Crime have written stories involving malice, murder, and mayhem set in Indianapolis during the month of May’s racing madness. Tucked in between each story are real-life facts about the Indianapolis 500 mile race.